With the touch screen optimized Dance Music Player you import larger music collection comfortably into the local database. There you can sort the respective titles into a playlist according to your dance type mappings which can be played by crossfading without breaks. With our products, we offer dancing schools and DJs the opportunity to organize their music collection efficiently and to have at any time the right title at hand. 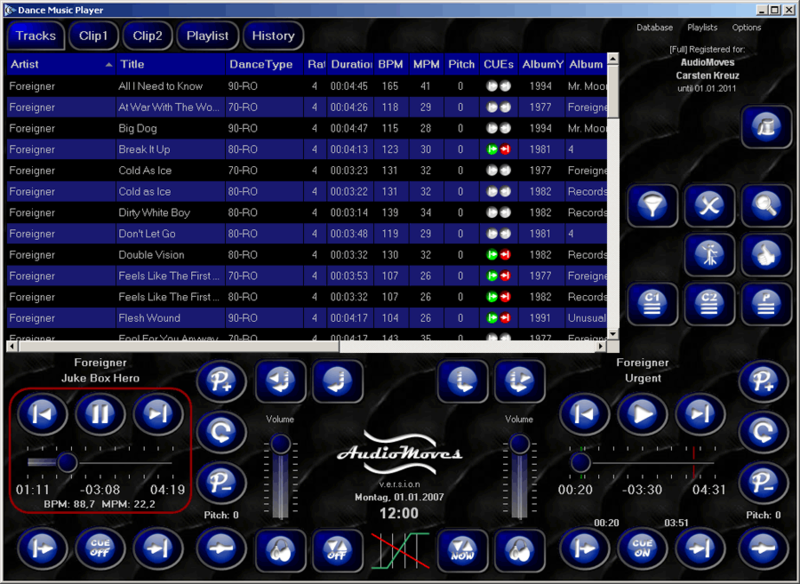 The Dance Music Player is optimized for touch screens with 1024x768 pixels. A mouse or keyboard is not required but can be additionally used at any time.